It is so great to see the majestic Red Kites circling over Hoddesdon and surrounding areas these days. Once extinct in the UK after being persecuted it was re-introduced and only10 years ago this was still seen to be a rare bird we are now seeing them flourish. You will see lots now across Hertfordshire, Bedfordshire and Buckinghamshire sometimes even in groups of 5-6. 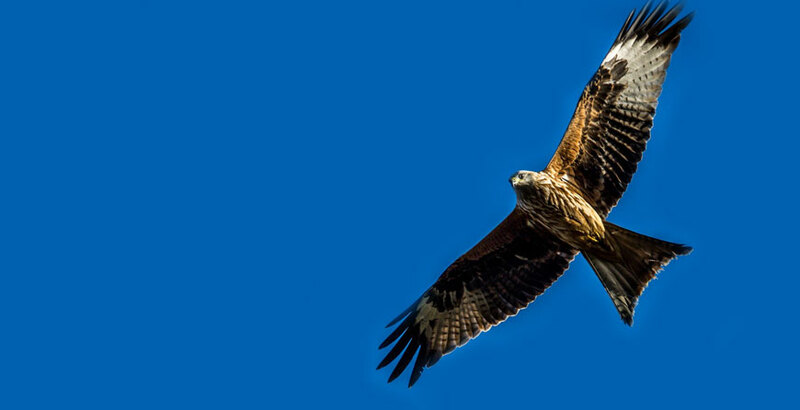 The red kite is a large bird of prey with angled, red wings that are tipped with black and have white patches underneath. It can be recognised in the sky by its long, reddish-brown, forked tail.